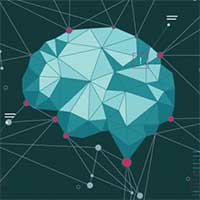 Banks and credit unions must integrate Machine Learning into their digital marketing strategies, but where and how should they get started? Machine learning is responsible for a slew of radical new advancements across many industries. In just the past couple years, robust machine learning programs have been developed by the likes of Google to improve eye care for diabetics, NASA to analyze written text and learn subjects more quickly, Über to predict how long it will take to bring you your favorite meal, and Stripe to better detect credit card fraud. Sophisticated data analytics solutions are evolving quickly and becoming more accessible. Advancements in machine learning, predictive analytics, Big Data and artificial intelligence aren’t limited to Fortune 500 companies. Now organizations of all sizes can capitalize on the power, promise and potential of the data-driven revolution. Using data to analyze consumer behavior is nothing new to banks and credit unions. Long before phrases like “Big Data” and “data mining” were coined, financial institutions were collecting massive amounts of data on people’s saving, borrowing and spending behaviors. And early adopters have been using machine learning to develop better credit scoring, combat fraud, offer faster customer service and automate chatbots. But there is one critical area of the financial industry that has yet to dive deeply into the opportunities of machine learning: Marketing. The homepage on a bank or credit union website is one of the most powerful messaging channels in the financial marketer’s arsenal. The largest and most valuable piece of real estate on the website homepage is called the marquee banner — the big marketing panel that dominates the screen when a user first loads the site. We can use machine learning to determine the optimial combination of messaging and imagery on marque banners, giving marketers a real opportunity to improve acquisition rates. Key Fact: Research reveals that high-performing marquee banners have almost 20X the click-through-rate of poor performing banners.